In 2008 I spent a few weeks traveling through China. It was the spring before the Olympics and development and construction were everywhere. 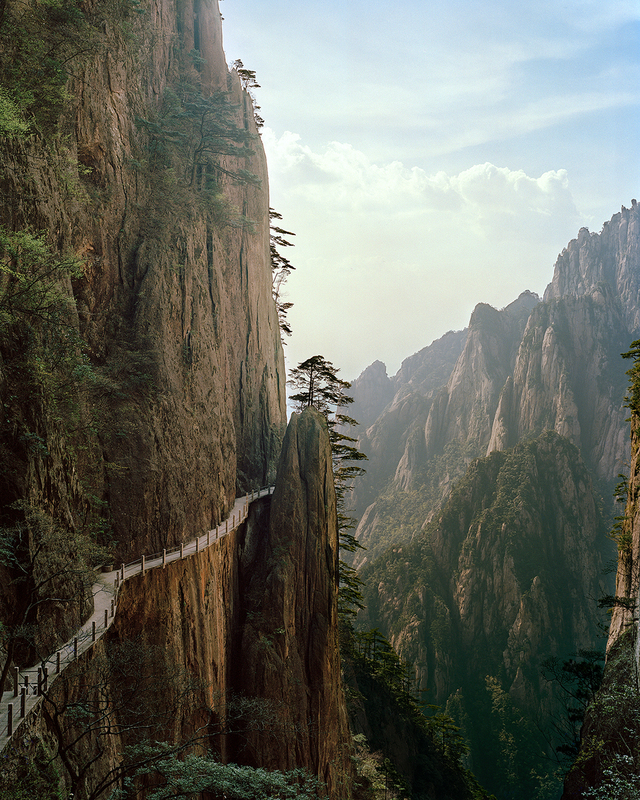 I hoped to counter the crush of China's cities with China's natural beauty by spending half my time in Beijing and the other half in Anhui province, home to Huang Shan mountain, a source of inspiration to Chinese artists for centuries. In the end I can't say that I found the two experiences to be so different. In the mountains I encountered large tour groups led by guides shouting into megaphones, and porters passed me carrying building supplies as they sprinted up narrow, winding paths. China is rich in history and tradition but everywhere I looked I was astonished by the scope of development and the desire for newness and western amenities. The Chinese people seemed proud of the country's growth and increasing prominence in the world, and those whose homes and culture were being swept aside felt powerless to stop it. These photographs are my attempt to show the contrast of the old and noes in China, as I feel much of what I saw will soon be gone.